Do we really need to revisit the topic of the highly manipulative surveys that were selectively distributed and strangely worded to ensure a pre-determined outcome? Please don't insult the intelligence of this forum by trying to assert that those bogus survey results were in any way a fair representation of support. Last night we held our final troop meeting for 2018. Ours is an LDS troop that will go out of existence one year from now. We used last night's troop meeting to motivate by highlighting the Scouting journey that lies ahead in 2019, both in terms of rank advancement and outdoor adventures. We anticipate up to 14 new Eagle Scouts in 2019 (in a normal year, it's just 3 or 4). We compared our 2019 troop activity calendar to a rock band's farewell tour schedule. We will be revisiting many favorite camping destinations from past years. As we moved month-to-month through the calendar, their excitement escalated to cheering as each new campout was revealed. Next summer we will attend two premier BSA summer camps, plus a backpacking trip. We unanimously agreed that our troop will go out with a bang - not a whimper. We will not just finish the race, but we will do it in style. How's that for some positivity? I have no idea about such things, but I hope your description about independent trust ownership is true. If accurate, that means Philmont and Sea Base would not appear on the BSA's financial disclosures as owned assets (although The Summit apparently is listed), correct? I defer to smarter brains on such topics. I report only what I see around me in our district. Our moderate troop of 30 Scouts goes camping 10 times a year and we attended two different summer camps. In addition to our active outdoor program, we have a vigorous advancement program with four new Eagle Scouts during 2018. Next door is a struggling troop with barely enough boys to maintain their charter. They meet only sporadically. They took only four boys to summer camp. Aside from summer camp, they went camping only once in the past year. Only one Scout in that troop advanced in rank during 2018. Also nearby is a megatroop of 130+ Scouts. They go camping multiple times a month, they send contingents to BSA High Adventure Bases annually, and they generate new Eagle Scout candidates on a monthly basis. While they are a visible community presence and attract hoards of new recruits, Scouting on that scale is beyond my experience and comprehension. That is the reasoning for my assertion that consistency of the Scouting program varies widely at the unit level. BSA's annus horribilis. To borrow a quote ... 2018 is not a year on which I shall look back with undiluted pleasure. Please tell me again how our visionary CSE keeps his job? 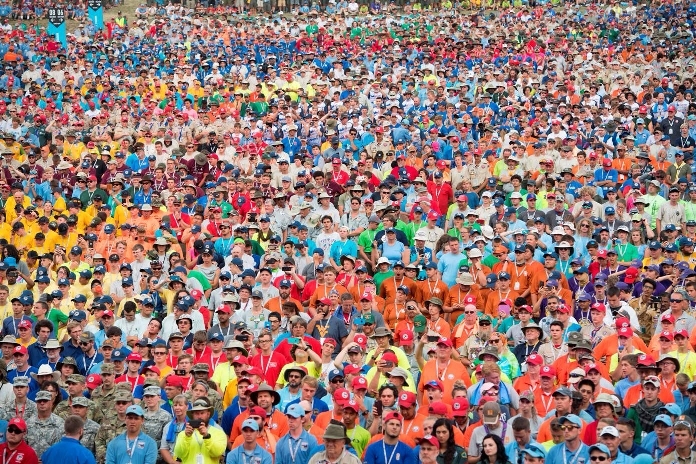 Even with the bloat cascading down from national, regional, council, and district professionals, the consistency of Scouting programs at the unit level varies widely. Among these forum threads are many stories of renegade units with errant leaders who defiantly ignore rules they don't like, or arrogantly add their own hurdles, or casually cancel quality by rubber-stamping requirements. Delivery of a quality Scouting experience happens at the unit level, and it has always hinged on the dedication of volunteers. In too many instances, great Scouting happens in spite of - not because of - the influence of national, regional, council, and district professionals. I can't say I'll miss them. I can’t decide if that comment is more stupid or offensive. Are you too stupid to recognize that Scouting has been available to girls in America for more than 100 years? It’s called Girl Scouts USA. Or is your intent to deliberately insult the GSUSA organization by somehow pretending they are not “real” Scouts? So long as the original approvers still remember you coming to them for their signatures, I don't see why anyone would have a problem signing again after hearing your explanation. Examine past emails, text messages, etc for the exact dates when you had them sign your original paperwork. That may be helpful in refreshing their memories, if needed. Although a longtime Scouter, I joined this forum only last year, motivated by my concerns about the decision to admit girls into all aspects of BSA's programs. From the beginning, I have repeated in post after post that this girl decision reeked of desperation (specifically financial desperation). Why else would BSA National rush to ram through such a divisive decision? Why else would BSA National bungle so badly the premature announcement of a girl program that had not even been defined yet? (When announced, BSA's girl program was not half-baked - it wasn't even in the oven.) All they could say was "trust us - it will be wonderful". I had predicted some sort of financial reorganization/bankruptcy was inevitable due to declining membership numbers and the huge debts incurred for construction of The Summit. However, I did not anticipate that liabilities over past sexual abuse claims would factor in so heavily. That element was not on my radar screen. Although perhaps not the deciding factor, I have no doubt that BSA's precarious financial situation was also deliberated by LDS church leadership when deciding to end their century-long partnership. With the stink of financial collapse in the air, combined with renewed visibility of past sexual abuse claims, BSA enrollments will go into freefall, forcing the unthinkable. Liquidation of properties like The Summit and Philmont is possible because BSA National doesn't have many other assets. Locally-owned council camps are not directly at risk, except that there will be fewer and fewer Scouts to make use of them. BSA's desperation in their decision-making was in plain view for all to see. As part of a longtime Scouting family with three generations of Eagle Scouts, I am beyond sad to be right in my pessimism. I can only hope that my worst fears will somehow not be realized. Our troop *offers* a practice board of review, but we certainly do not *require* it. Indeed, a few of our oldest Eagle Scout candidates have chosen to decline a practice EBOR without further mention. Your District Advancement Chair's mandate is complete rubbish and I would be more than happy to tell him/her so. Every Scout in our troop is offered a practice board of review in advance of the actual event. I will direct an icy stare at anyone who suggests that this is somehow cheating. Quite the opposite - this is living the Scout motto to "Be Prepared". In fact, I am rather amazed that a boy who is asking to be awarded Scouting's highest honor would not make such preparations. A few years back I found myself unemployed after a layoff. Prior to each new job interview, I would thoroughly research everything I could about the new company, their products and services, their leadership team, the company history, and their financials. In addition, I would read website reviews written by employees who actually work there. I wanted to go into my job interview as prepared as possible. I wanted to be over-prepared. I wanted my level of preparation to distinguish me from their other job candidates. I wanted them to understand that I don't just "wing it". In my opinion, such preparation is a valuable life skill that extends far beyond an EBOR, and it is the exact opposite of cheating. Cheating is what desperate people resort to when they are NOT prepared. Now, before anyone else reminds me, I fully realize and agree that an EBOR is NOT a job interview and it is not an inquisition. It is far too late in the game for a practice board of review to teach a Scout anything new. Rather, a practice board of review will help calm any nervousness, it will instill confidence, and it will teach a valuable life skill that will hopefully benefit him long after his EBOR is forgotten. Others are entitled to hold a different opinion. I am a dedicated Scoutmaster who comes from multi-generational Scouting family. I share my Scouting enthusiasm with everyone around me because it is genuinely felt, and also because Scout Spirit is contagious. Along with my enthusiasm, I also explicitly explain my acceptance that not every family approaches Scouting with my same level of vigor - and that's ok. Troop meetings and weekend campouts will not always be prioritized first when choosing between competing activities - and that's ok. Sometimes other things in life are more important than Scouting - and that's ok. Last night, I held a Scoutmaster conference and signed off an Eagle Scout application for a VERY busy Scout in our troop. He sings in a prestigious boys choir, he plays elite-level soccer, he swims competitively, and he excels scholastically. In spite of many scheduling conflicts over the years, he has somehow made the required sacrifices to also become an Eagle Scout with three palms. I frankly don't know how he manages it all, but I hold him up as an example of a boy who takes an "and" approach to living life. Nobody should be forced to choose between Scouting OR soccer. Enough flexibility and alternatives should exist that Scouting AND soccer should be a viable option for anyone with the desire for both. According to this webpage, The Summit is included in the list of BSA High Adventure Bases. https://www.scouting.org/careers/employment-opportunities/high-adventure-bases/ However, when I examine the website and materials available for The Summit, ( http://www.summitbsa.org/ )I see no mention at all of WFA as a requirement for units who attend their programs. To be more specific, is WFA a requirement only for Philmont, Northern Tier, and Florida Sea Base? How to reassure skeptical spouse about taking SM position? @BillFan90 My answer to you might depend on what is your family situation. Specifically, do you have a son in the troop? 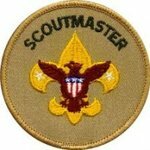 I have been a Scoutmaster twice. During my first tour of duty as Scoutmaster (7 years), we were a new-married couple without children. My wife's resentment of the time demands was understandably an issue. She was left at home alone on many campout weekends, and much of my vacation time allotment from work was spent on Scouting adventures and summer camps. While I treasured these Scouting experiences, my prioritization was at times unfair. I vacated the Scoutmaster position about the time our first child was born. My second tour of duty as Scoutmaster (3 years and counting) began when our son turned 11 years old and entered the program. My wife and I are unified in our parenting goals. This time around, she supported my investments in time and accepted the tradeoffs because we both realized this was benefitting our son in important ways. Our son has had a phenomenal classic Scouting experience and has established wonderful friendships. He is now an Eagle Scout with 70 merit badges, OA, Jamboree, etc. But as his involvement in Scouting winds down, so will mine. Do either of these experiences resemble your own family situation? The September-October issue of Scouting Magazine makes it clear that BSA is betting the farm on girls. Cover photo: Family Scouting Letter from CSE: Justifying girls in Scouting with claims that it was all in response to popular demand (his lies just never stop) Commissioner's Corner: How to welcome girls into Scouting Recruiting Article: How to get more girls in Scouting with Scout Me In Order of the Arrow Article: Welcoming girls into OA staring February 2019 Roundtable Article: Welcoming girls into a pack Scouting FAQ: Uniform Q&A with feature photo of a girl Cub Scout Cub Scout Corner: How to balance busy lives with a big feature photo of a girl Ethics Article: Cell phone story focused on a teen girl Main Article #1: Welcome to the Family - 8 page spread focused on girls Main Article #2: A New Era of Scouting - 4 page spread about girls in Cubs New Leader Guide: Feature photo of a female leader Now tell me why boys should not feel they have lost their Scouting program? I predict BSA will lose more boys than girls gained for a net loss of overall membership. Faced with this reality, they'll change to program to make it even more girl-friendly. Boys are the failing segment of our society right now, and nobody cares - nobody. No disagreement at all that the well-being troop members and their families should be the top priority for unit leaders. Absolutely true. However, lower overall BSA membership is (or should be) a concern for folks at all levels of Scouting (including individual units). When money is tight, facilities are not maintained, staffing is cut, training is shortchanged, and money pressures start forcing decisions to be made for the wrong motivations (i.e. not for the good of the boys and the program, but for the survival of BSA the corporation). In our little corner of BSA, I'm seeing this everywhere I go. Our heroic district staff is stretched so ridiculously thin that I keep wondering how long they can continue in this mode. Our council owns three camp properties but one sits almost completely idle (even during the busy summer camping season). Enough council funds exist to maintain only one camp property so all three are all in a state of slow decay. Paid, trained, professional camp directors have been eliminated, with their jobs now filled by seasonal volunteer replacements. The resulting lack of continuity in camp leadership leads to all sorts of cascading problems with camp staff recruitment and retention. And camp staff problems naturally result in declining camp program quality. When troops notice the poor condition of our camps and programs, they quite logically start looking elsewhere at summer camp options which only worsens the revenue problem for our council. Many more examples could be cited. Such problems do not remain hidden indefinitely. If quality drops enough, people take notice (and not just us Scouting enthusiasts who hang out on Scouter.com). Once the stink of a failure takes hold, people flee to other higher-quality alternatives. After that happens, it is nearly impossible to ever get them back. Without being too dramatic, I worry that Scouting is getting close to that tipping point (the LDS exit is what initially spawned such thoughts in my head). Our troop was strong in tradition and attended the same in-council camp every year for 30+ years. Then we started noticing a different camp director each year. We started overhearing grumbling and dissatisfaction from camp staff. Each year there was a "new and improved" camp program that was in reality getting worse with fewer offerings. Each year, we noticed fewer troops and Scouts in attendance at that camp. Finally things got bad enough for our troop to start investigating other summer camp options and we discovered a whole new world of possibilities. We never looked back and there is little chance we will ever return to our old council camp. A loyal customer has been permanently lost. I apply the same analogy to the loyal multi-generational Scouting families who are being alienated by BSA's recent decisions. Once lost, these Scouting loyalists will be gone forever as they move on and devote their time and energy to other worthy pursuits. I very seriously doubt the number of new girls joining BSA will come close to replacing the membership losses resulting from this alienation. Thus, the original problem of declining BSA membership will be compounded rather than fixed, hastening even more desperate decisions. It's all so very sad for me to watch. I hope you can see how declining overall BSA membership creates problems for all levels of Scouting (even at the unit level). Declining membership results in less money which results in constrained resources which results in degraded quality of the Scouting experience for everyone (even if an individual troop happens to be large in numbers and well-funded). Not to be insulting, but the phrase "All Scouting is Local" is frequently deployed to dismiss hard problems and bad decisions that folks just don't want to think about or deal with. So I'll just assume you also ascribe those negative traits to GSUSA which excludes boys at every level. How very unScoutlike of them, right? Or does your door of condemnation swing only one way (against boys)? I was anticipating your question. The camp I had in mind is Camp Baldwin in the Cascade Pacific Council. However, I just revisited their website so I could send you a screenshot and discovered that they have reversed course. No girl-only weeks at Camp Baldwin after all, so I retract my claim. Yes, there are girl-only weeks currently on the 2019 calendar at some BSA camps. What bigots those people must be. So if a girl-only troop gravitates to a girl-only week at a BSA camp, I supposed that means those girls consider boys to be second class citizens, right? Our troop is engaged in summer camp planning right now. During the discussions, I alerted the boys that next summer they will be joined by girls at summer camp. Several boys then asked that we organize our own summer camp instead and completely avoid BSA summer camps. Those discussions are still ongoing. The concept of co-ed summer camp is proving to be a big deal for both boys and parents. With so few girl troops anticipated, perhaps the real question should be why so many summer camp weeks are being designated as co-ed.